Water is the main ingredient for soft drinks manufacturing; about 87%-90% is water in soft drinks. Even some product as like diet beverage may contain up to 99% water. The others important ingredients are citric acid, sodium citrate, sodium benzoate, sugar, flavor, carbon di oxide etc. Water is used not only as an fundamental part of the finished product but also used for many others functions during in the production of the soft drinks such as cooling system, boiler feed, bottle washing, floor washing, pasteurization process etc. As water is the key ingredient, so it should be more careful about the quality control of the soft drinks water. Chemically pure water (the water that contains only two atoms of hydrogen chemically combined with one atom of oxygen) is not necessary for soft drinks. However, the water that is suitable for human consumption must not be chemically pure at all. Even, some element containing water is good for human health. Moreover it increases the taste of the water. The source of soft drinks water can be different basis on different countries and water availability. It may be surface water, ground water, spring water, public supplies etc. The main source of the water of soft drinks industries in the United States is public supplies. Besides this other sources are private or spring water. This water may contaminants by many foreign elements such as calcium, magnesium and potassium salt, turbidity, suspended solids, microorganisms, bacteria, bad order, taste and color, dissolved gasses (carbon di oxide, oxygen, sulfur di oxide etc). Most of these contaminants may affect the quality of the soft drinks. These contaminants may alter the taste and color of the soft drinks; moreover shelf life of it. Hence it is very important part for beverage industries to remove these elements from water or conditioning the water so that it is suitable for beverage drinks. Otherwise the products lose its market. Therefore the quality of the soft drinks water should not be considered. 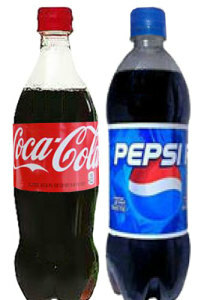 Another important subject for soft drinks is that most of the ingredients that are used in it are acidic. So the alkalinity of the soft drinks water is very important. We know that alkaline water is good for human health. Alkali metals increase the alkalinity of the water, so it should be consider during water conditioning for soft drinks. I am glad you mentioned to use water conditioning to remove contaminants. My parents have a soda machine in their gas station and want to make sure their water is clean. Thanks for the information on the importance of conditioning water for soft drinks.